Maximum resolution: 600 x 1200 DPI. Print Speed ​​(Black, Normal Quality, A4 / US Letter): 26 ppm. Standard printer languages: PCL 5c, PCL 6. Maximum internal memory: 320 MB. 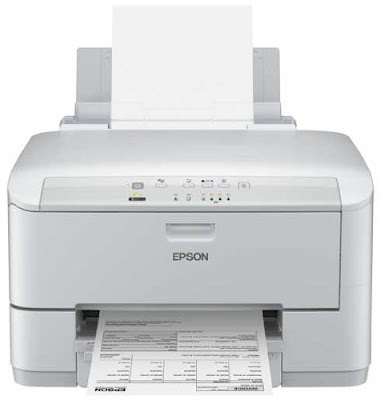 Epson WorkForce Pro WP-M4095 DN is ideal for companies that print more than 1,500 pages or use more than three reams of paper per month. This single-function printer provides a lower overall cost of ownership thanks to a 50% lower cost CPP and 80% lower power consumption compared to laser printers. This model, which is a cleaner and more environmentally friendly alternative to monochrome laser printers, is part of the industry’s first family of professional monochrome inkjet printers. Capable of printing more than 10,000 pages with a single cartridge, this printer delivers high performance and low maintenance, helping to space cartridge replacement. The ink cartridges and waste ink tank are the only consumables in the printer that need to be replaced. The key: space savings thanks to the disappearance of toners, fusion units and photoconductors. And, thanks to instant drying, companies get high-quality monochrome prints that resist water, smudging, highlighters and yellowing. Its 330-page paper handling capacity (250 pages in the front paper tray, 80 in the rear paper tray) allows users to fully focus on their work rather than filling paper trays. Epson WP-M4095DN Software updater – Download (4.99MB) or Download for Mac OS X (4.91MB).